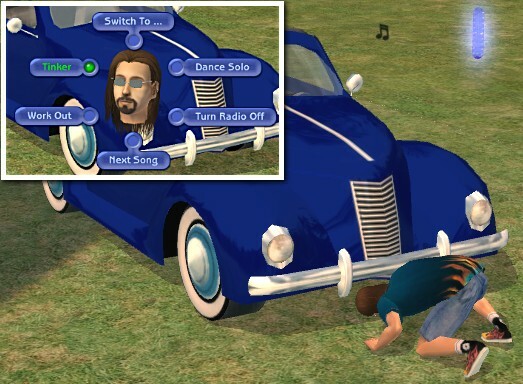 New: Thanks to Echo's tutorials, your Sims can now gain mechanical skill points by tinkering with the car. This isn't a "cheat" object, skill will be gained in the usual way. This is not a drivable vehicle, no expansion pack(s) are required. The car requires a flat 12 tile area for placement. It will be in your catalog in the Electronics/Audio section. 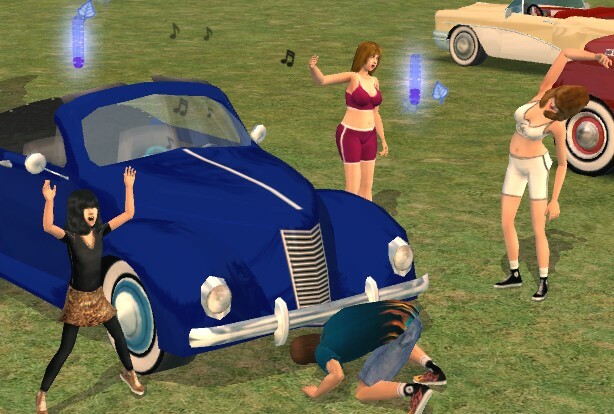 The car has a working radio, with all the usual radio options including Work Out, so your Sims can also gain Body skill points - One or more Sims can Work Out or Dance to the radio at the same time another Sim is tinkering with the car. I have disabled autonomous turn on/off, meaning that you can use this as a strictly decorative object if you prefer. Only your own controllable Sims will be able to turn the radio on and off, and only by your command. 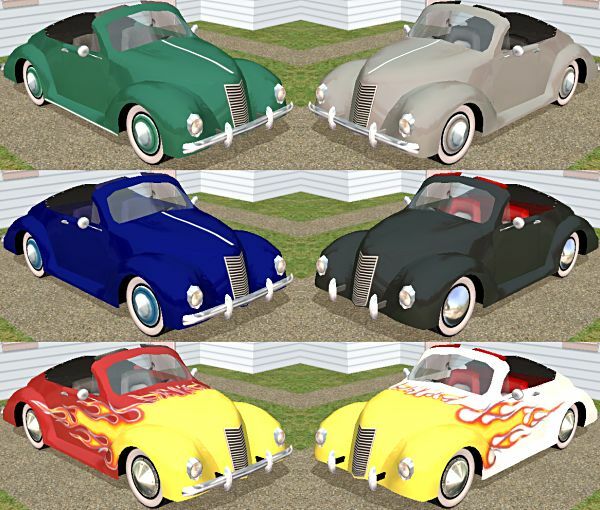 Included in the download is the Mesh plus 6 exterior and 4 interior color options.